Experience Red Rock Country with Hilton Sedona at Bell Rock, Arizona. Experience everything Sedona has to offer, from the incredibly striking rock formations to intensely spiritual history tours. Explore the surrounding canyons on adventurous hikes, or dive into the bustling town for a day of art and culture. At the resort enjoy stargazing every Saturday evening from 6:30p – 8:30p. Telescopes and information provided by expert astronomers from Verde Valley Astronomy Club. The Hilton Sedona Resort at Bell Rock is Sedona’s only full-service spa and golf resort. Uncover the spiritual history of Sedona and the story behind the famous red rock formations. We provide a plethora of services and amenities to ensure your experience at our resort is second to none. Sedona is an art haven, attracting artists worldwide with its natural beauty and mystery. Visit over 40 galleries throughout the city while taking in the historical sites and top attractions. Explore the lush landscape of the national forest or embark on an adventure through the rugged Arizona backcountry. Our 18-Hole, Par-71 golf course is universally recognized as the most captivating course in Sedona, with elevations ranging from 3,960 ft. to 4,260 ft. over the lush greens. Less than one mile away lies the Village of Oak Creek Country Club with a 145-acre golf course, several lakes and more. Escape to eforea, our 25,000 sq. ft. spa therapy center, and restore your body, mind and soul. Choose from an array of technologically-advanced treatments and signature services, created using only organic ingredients from the area. Revive the body and energize the mind at our Athletic Club. Keep on track with your fitness routine with our state-of-the-art equipment, fitness classes and 25m indoor pool. Optimize your workout results with our latest addition, The Warrior Pit, or enjoy a challenging game of tennis on our indoor courts. Say goodbye to last-minute panic and hello to a perfectly planned holiday. No matter how long you’re here, our sample itineraries will give you an idea of how to best utilize your time. 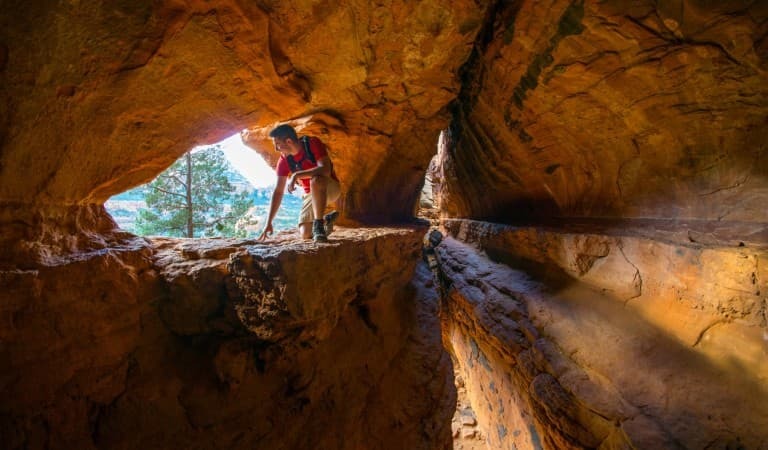 We’ve picked out Sedona’s top attractions and activities so you can plan your trip with ease and precision.